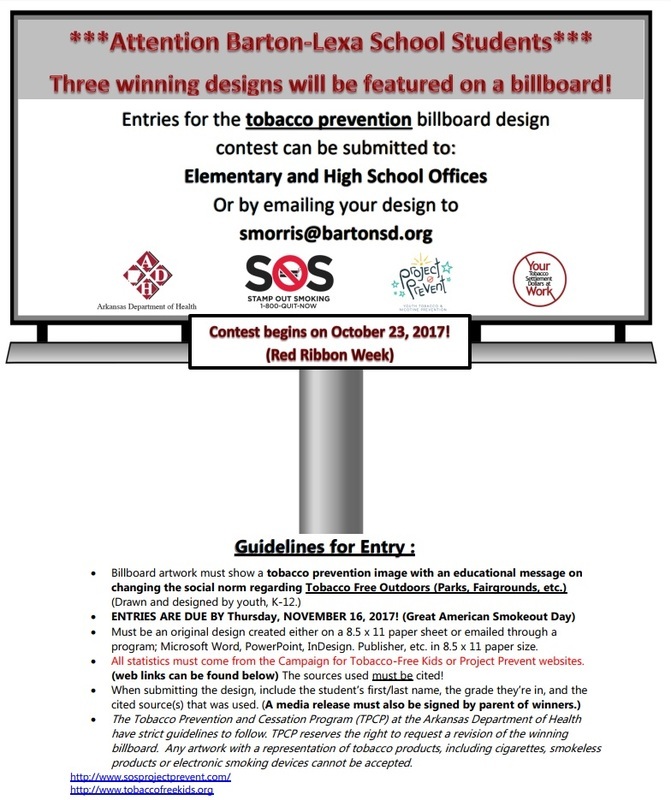 ***Attention ALL Barton-Lexa School Students*** This year's Tobacco Prevention Billboard Contest will begin on Red Ribbon Week! The three winning designs will each be featured on a local billboard. 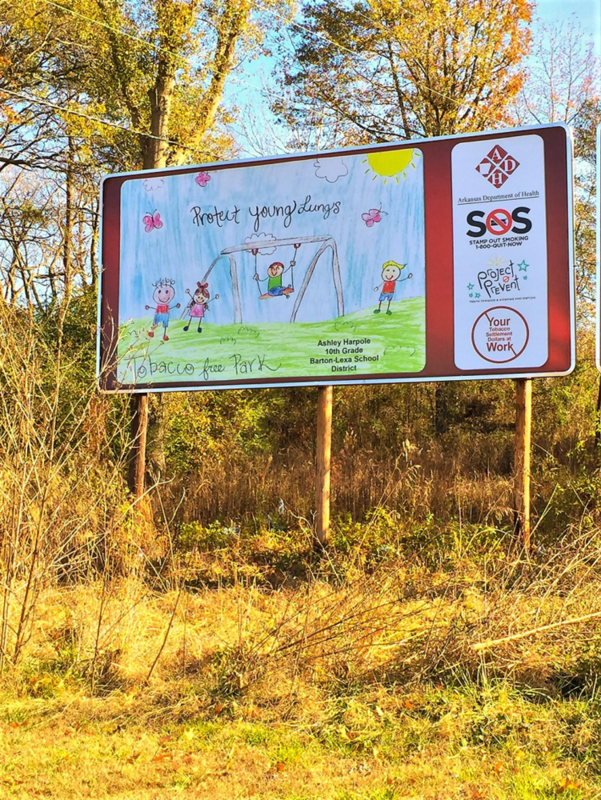 Artwork must show a TOBACCO PREVENTION image with an educational message on Tobacco Free Outdoors (such as Parks, Festivals, and County Fairgrounds.) All entries are due by November 16th, The Great American Smokeout Day. Please read the complete version for entry guidelines that is on the flyer attached.